It was 1974 in my college dorm room. We were watching one of the first episodes of Saturday Night Live. 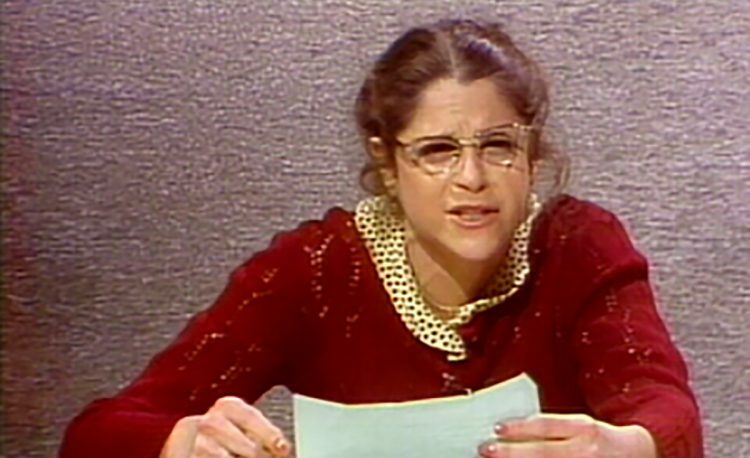 Gilda Radner played a character named Emily Litella. She was presenting an Editorial Reply on the Weekend Update newscast. She started by asking, “What’s all this fuss I keep hearing about violins on TV?” She ranted and raved about the value of violins on TV. She was confused. Chevy Chase, the Weekend Update anchor, tapped her on the shoulder and told her, “It’s not ‘violins’ on TV, it’s ‘violence’ on TV, that’s what we’re concerned about.” She turned to the camera and said, “Never mind.” Classic SNL. That little parody of confusion and misunderstanding contains a lesson for those of us who care about organizations governed by boards. There seems to be a lot of buzz right now about the need to evaluate our boards. And, being the good board members, board chairs and executive directors that we are, we listen to the chatter and we wonder. Are we doing enough? Are we evaluating often enough? Are we asking the right questions? Beyond that, what do we do with the data we have gathered? Do we unpack what we said about ourselves? Does it collect dust, stowed away in the Governance Committee Chair’s laptop? Do we share it or hide it, act on it or sweep its uncomfortable findings under the agenda rug? To avoid confusion and provide clarity we need to ask three questions, why do we evaluate our boards, what do we hope to measure and what action should we take afterward? That’s the question. Do you want to use a survey to send a message to a specific board member? Do you want to use the evaluation as a “gotcha” moment for members of the board who aren’t carrying their weight, making an annual contribution, coming ill-prepared, or (you fill in the blank)? If so, stop! Chairs and Executive Directors need to guard against the temptation to use the board evaluation process as a veiled means of communication with a specific board member or the board as a whole. The board evaluation process should create a benchmark against which to measure and improve board effectiveness. Vital, effective boards foster vital, effective organizations. If the board evaluation process is meant to capture and track on-going board performance, what dimensions should we monitor and evaluate? What benchmarks do we need to create? The Board’s knowledge of and commitment to the organization’s mission and stakeholders. The Board’s structure, its roles and expectations, leadership effectiveness and committee function. The Chair/CEO relationship and responsibilities, the chair managing the board and the CEO managing the organization. The Board’s governance and fiduciary responsibilities, articulated in practical, concise policy that guides the board and the CEO. The Board’s role in casting vision, establishing strategic goals and providing necessary resources. The Board’s meeting frequency and effectiveness. The Board’s profile, membership, recruitment and orientation practices. The individual Board member’s self-assessment and assessment of other members’ performance and contribution. What do we do with evaluation findings? Let’s be honest, too often we squeeze Board Evaluation near the end of the agenda, or as a benign email requesting on-line survey participation. That’s insufficient. If you haven’t done so already, use a comprehensive audit and a thorough self-evaluation of the board’s membership, culture and practices to establish a benchmark by which to judge and foster future growth and progress. Use the initial findings as benchmark. Agree to the annual discipline of evaluation. Create Board policy to assign the task of on going board improvement to Board Officers and the Board Governance Committee. Foster a culture of candor and honesty regarding collective and individual board performance. Establish annual lag measures focused on improving Board performance. Set lead measures to achieve lag measures. Board meeting agendas spend too much time focused on past operational performance rather than the organization’s future and the strategic goals the board adopted to lead the organization forward. Lag Measure: By the fall of 2019 board meetings will shift from being 30% to 50% future focused. Lead Measure One: Prior to each meeting, each board member commits to review material provided by the staff that focuses on and reviews past performance. Lead Measure Two: Semi-annually the Finance Committee will report to the Board on plans and actions taken to shift and deploy resources to achieve strategic goals. This sounds simple. Yet it is difficult. The staff is naturally focused on current operations. It’s what they know and what they report. Consequently, lag and lead measures must be shared with the board and staff leadership. Working together the board, the chair and the executive director must hold themselves (and the staff) accountable to shift the focus from the past and the present to the future. Board evaluation exists to improve board effectiveness. That’s what all the fuss is about!